Once again, kitten season is upon us and if you follow us on Facebook you know by now we have been fostering a pair of kittens for Georgia SPCA. 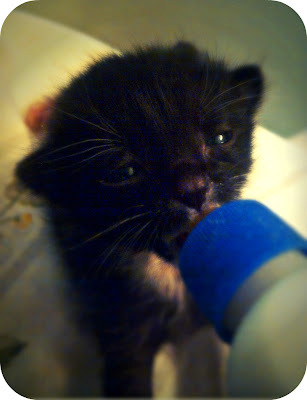 I have been bottle-feeding then every two hours since they were 2 days old. The first week of was a bit stressful since the kittens are so small and fragile and you always have that fear in the back of your head of "OMG I hope I'm doing everything correctly. I don't want to do anything that might hurt the babies". Week 2 was much easier to manage. The kittens are growing at an astonishing rate, their eyes are starting to open and they now sleep for longer periods, a big relief for me, since I was running on fumes for waking up so many times in the middle of the night. 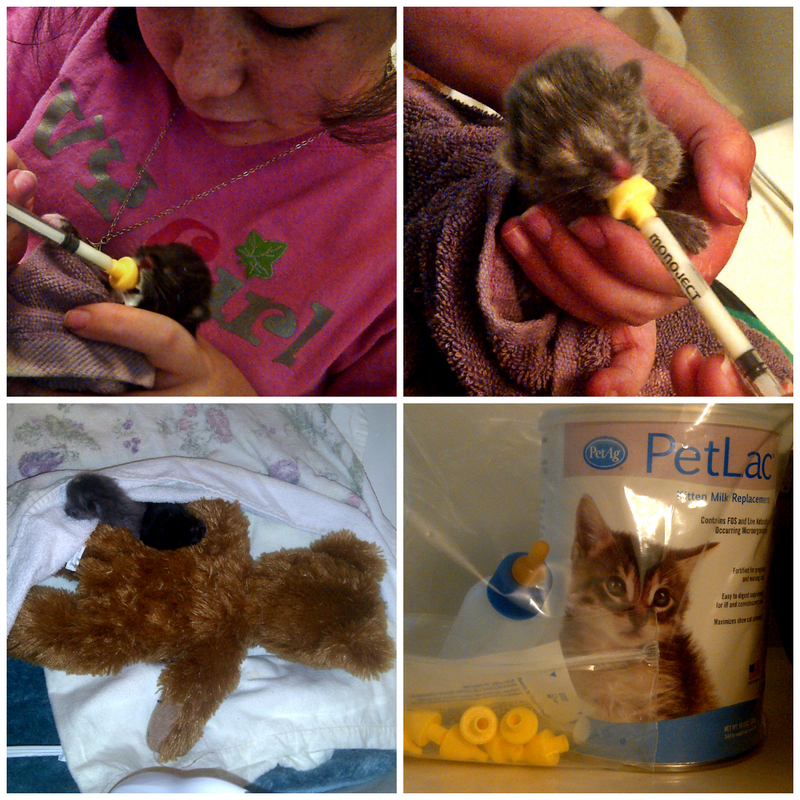 By week 2 the entire family are now on-board in the care of the kittens. They all help with the feedings and the kittens socialization. 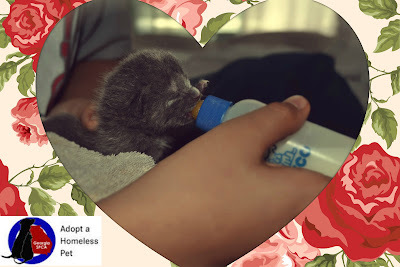 My children are very enthusiastic about fostering and love talking about the kittens progress at school. Fostering is a wonderful opportunity to teach children important lessons about tolerance, responsibility, compassion and respect for life. Both kittens will be back at the shelter ready for adoption after 8 weeks. The Georgia SPCA (Society for the Prevention of Cruelty to Animals) is a non-profit pet rescue organization located in Suwanee, GA. Their mission is to reduce the number of healthy animals euthanized in the State of Georgia by implementing successful adoption programs, and offering low cost spay/neuter to the public, and by promoting responsible pet ownership. They are unaffiliated with any other rescue organization including the American Society for the Prevention of Cruelty to Animals (ASPCA), and receive no governmental or state funds to support their operations. As a no kill organization, all animals accepted by the Georgia SPCA are placed in an adoption center or foster home until suitable homes can be found. Prior to adoption pets are fully vetted, which includes updated vaccinations (including rabies), disease testing, treatment for heartworm (if necessary), flea and tick and heartworm prevention, spay or neuter, and micro-chip. All animals are adopted with one month of free pet insurance. Georgia SPCA is located at 1175 Hwy 23 (Buford Hwy) Suite 109 in Suwanee, Georgia 30024. Please come and visit all the pets at their Adoption Center! They're open 7 days a week! Their hours are: Monday - Friday 11 am - 7 pm, Saturday 11 am - 5 pm and Sunday 1 pm - 4 pm. You may contact us or call 678-765-2726.